"The Best Hard Cider Brands: Our Taste Test Results"
I froze all my juice this year because the first apples ready were Geneva crab, which gives a nice pink but very acidic juice. Later I squeezed mainly Gala, with some Liberty and odds and ends of other apples, which gave a rather bland sweet juice. I had it all in Walmart distilled water jugs because I can get them from work all nice and clean. Had about 14 total gallons in the freezer. I used some as fresh cider by blending the two and pasteurizing it in what amounted to a big double boiler. It was pretty easy to do and made me feel a bit more confident about giving it to guests and family. I don’t use ground falls when I pick apples for cider, except for those I knock off while picking. However, I don’t do much more than rinse the apples before grinding and squeezing them, so some bacterial contamination is likely. I have five gallons of hard cider working right now. Should be done in another week or so, and then I’ll wait for it to clear. I don’t use pectinase so it will be cloudy for a while. Might add some fining agent if it takes too long, but I’ll probably just wait. Then I’ll bottle it in Grolsch bottles with enough sugar to give it a good fizz. It ends up tasting like a dry champagne, which is fine as is, but if I want a little sweetness I can always buy a four pack of Brown Road and mix some of that in. It has a pretty good balance of sweet and tart to my taste, and I think the small addition of some Whitney crab in there adds at least a bit of tannin. Gave the remaining five gallons to my son and his is bubbling now, too. Both of us bumped the brix up to get about 6% alcohol. Took about a pound of sugar in the five gallon batch. Any more than that gets to the point where the alcohol taste comes through. The Geneva juice had a fairly low brix, or I might have been able to get by with no additional sugar. I did not, BTW, pasteurize the juice I am fermenting. Gosh, you can make everything at home, even after shave! Are you still making Kompucha? I make kefir at home now, but thought about making kompucha. I had to do more work to make my own shaving soap and shaving brush. Most work of all was making my own straight razor from tool steel. Post shave moisturizer was also a breeze to make. Actually I stopped brewing kombucha a few months ago. In the heat of the summer, one of my batches got really sour and vinagery and it kind of turned us off the flavor. But we had been making (and drinking) a 4L batch every 2-3 weeks for the last couple years. It’s something like 1/8 the cost to make it yourself so if you drink it more than once in a while it is really worth it to homebrew. It would be nearly free if I didn’t put so much fresh ginger in it. You can adjust the flavor profile to your liking, and it is cool to make it yourself. Of course you have no one to blame but yourself if you end up with a pot of vinegar! Chuck, thanks for all the tips! I will definitely freeze some apple juice for later. You all make much larger batch of cider! I just make a gallon at time. Since I only make a gallon at time, I can afford to wash the apples very thoroughly by hand, even with dish soap. I do pick up some of the apples on the ground. I do use pectinase, so the juice is very clear. But once fermentation starts, it becomes murky anyway. You add crab apple juice too your cider too! I don’t have fruit crab apples, but have three huge flower crab apple trees. They are loaded with cherry size crab apples every fall. I am wondering whether I should juice some next year and add it to my cider. I made one batch of oatmeal soap a few years back, that was fun! I think I will give Kompucha a try the coming summer. Will ask you for advice if I have any questions. Sara, one of my cider making buddies likes a real tannin touch in his cider. He gathers those little red crabs and grinds them up and then adds them in that form to his fermenting cider. The tannins are largely in the skins, so you don’t want to add too much. He also uses those in making jellies as they add enough pectin he does not need to use commercial pectin. He does use pectinase in his cider brewing but I have found the cider will clear without it. Chuck, I rushed out and found some good crabapple on the trees after reading your text. Good thing you told me your friend used the ground up crab, there is no way I can get any juice out of the crabapple I got. I ground them up already, will put some the pasty stuff into the apple juice and see what happen. Will let you how it turn out. Thanks! Sorry to resurrect this thread but I’m enjoying going through all the posts in the new cider category. 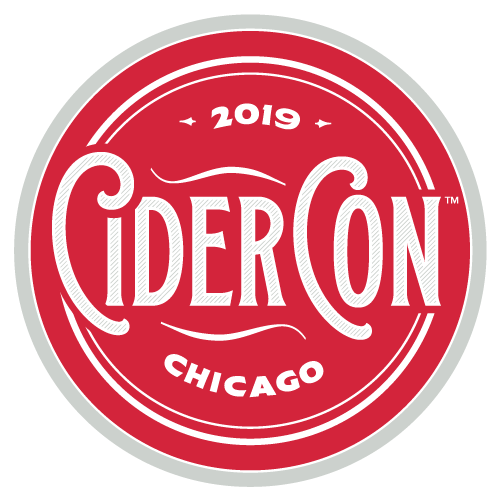 I try all the craft cider I can find and in general find most to be pretty disappointing here in the states versus a good European cider. (I really like the keaved ciders from Normandy). Eve’s is interesting and seems to be on the right track (although maybe.not quite great just yet). You can tell they’re putting a lot of care into their product - from the dedicated cider orchard to method champenoise to individually wrapping each bottle. I just ordered another sampler case and am looking forward to trying it again. Sorry just to add one thought. Taste is so subjective. Things like sour, bitter and astringent are probably (?) universal but not aromatics. I took my mother to a winery once and we trying a champagne together. She got a strong sense of caramel. I strongly smelled / tasted wet dog. Same champagne, same exact bottle, very different experience. Who was right? Apparently some people can’t sense Brett in wine and some people smell a burning tire, and some people feel it adds complexity in small amounts. Who’s right? I have been consuming a 4-pack of “Rambling Route” cider, labeled a premium Washington State hard cider, produced in Yakima, WA. It is 6.9% ABV packaged in 16 ounce cans, a four pack (four 16oz cans) retailing for around 10 dollars in my home state of NJ. This cider is 240 calories for a can. I do appreciate nutrition labels on a can/bottle of cider that tell me what exactly is in the cider, this one being labeled (in addition to the nutrition label) as containing only apple juice (from Washington state, although I am sure yeast was used so I am not positive that nothing else has been added.) It should be noted that some 200 ingredients can be used in the production of wine and none of them legally must be listed. I do like the taste of this stuff. The apple flavors are very mild and initially combine with a moderate/strong alcohol/beer taste, finishing with a nice mildly tart and astringent apple flavor. The sugars are 10g/16oz can, which is low compared with many modern ciders. can anyone recommend a perry, possibly in a nice bottle, for a gift to someone who appreciates these fine beverages? Jk scrumpy out of Michigan is one probably most “experts” would dismiss. I used to like that one a lot but once it seemed to give me a really bad case of the runs and I lost all interest. There is something too cloying in the flavor but its great in other ways. Thanks for the tip on the Aaron Burr, I will look for that one. I am also a French keeved cider fan. Right now I am drinking Sonoma Cider’s “The Anvil” (bourbon). Its a very non-traditional cider with bourbon extract. Its sort of like JKs, hints of greatness but also annoying elements. Bordelet or Drouet are the best perries I have tried; both French. Bordelet makes a couple, both are great. I don’t like Bordelet’s ciders as much as they are a bit cloying to me like JKs. I am a Dupont fan and Drouet is similar. And any Spanish cider I ever found in the US was great. That’s what makes drinking it so exciting! Foggy Ridge’s “Handmade Cider” (VA, all Albemarle Pippin) is as close to champagne as any I’ve tasted. Fabulous balance and an acid aftertaste that makes your mouth water. After sampling it I just ordered a case of it. My favorite so far, just ahead of Eve’s. Foggy’s “Serious Cider” also good. Awesome, will have to hit that up!! … well, it looks like its a “pros” not “amateurs” event, it runs during the week when I have to work and it costs $400. Hmm, will have to think about it. These conferences sometimes have a one-day pass for cheaper but I don’t see one for this event. Call them on the phone and beg poverty. Explain your forum’s wide reach. Maybe they can cut you a deal on the entrance fee. Heck, declare yourself the Press and ask for a press pass.